Camille was born and raised in the Seattle area. 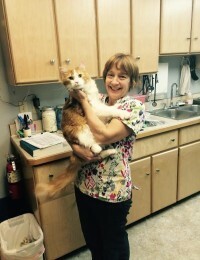 She began working in the veterinary field after high school, and became a Licensed Veterinary Technician in 2011. Camille has worked in small animal general practice hospitals, a veterinary dental clinic, and with a housecall practice. After 17 years in the field, Camille is excited to take the next step into management, and take on the role of Practice Manager at DVH. Her passions lie with client service and care, as well as team cohesion and flow. She loves to teach her support staff, visit with the clients, coordinate local events, and find value in every day. 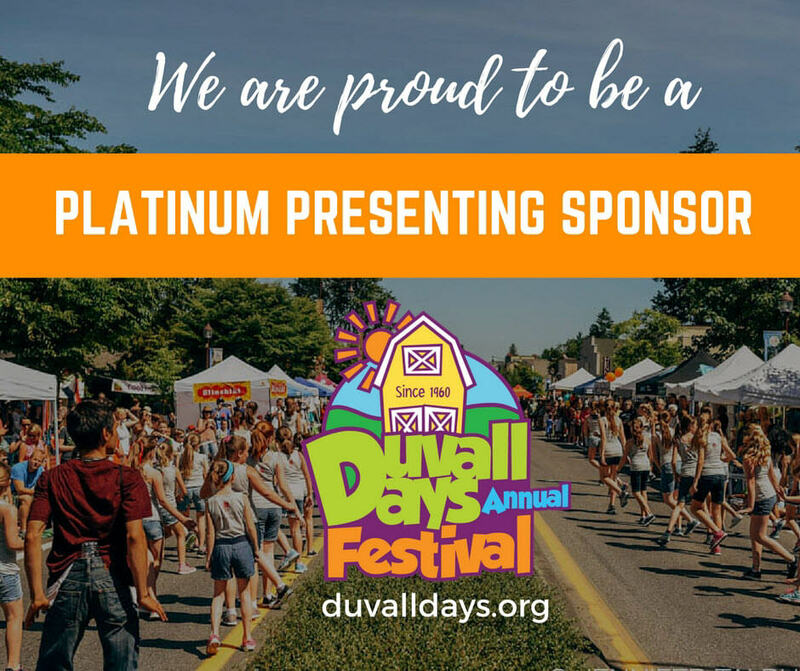 She is excited to bring her knowledge and experience to DVH! 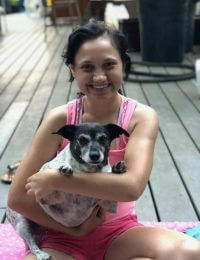 Camille likes to spend her free time with her husband and teenage son, and enjoys cuddling with her small dog Vinnie. Angie was born and raised in Edmonds. 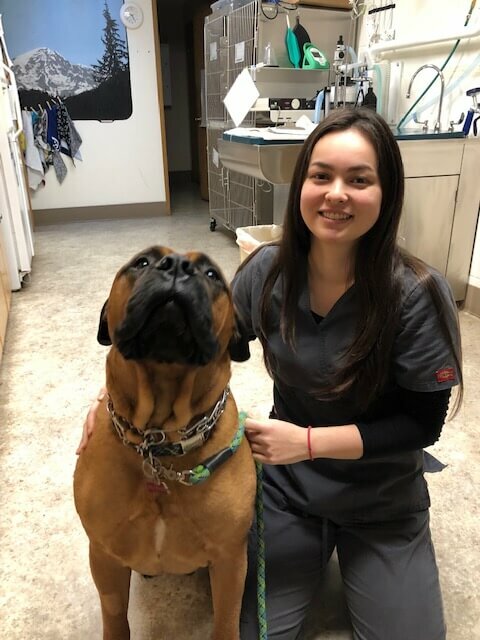 She knew she wanted to work with animals at a very young age, and attended Pierce College Veterinary Technician Program. 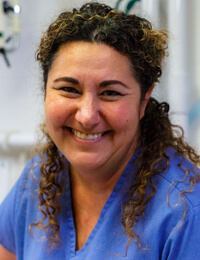 Angie has worked at small animal hospitals in some capacity for the last 20+ years. When not at work, Angie enjoys reading, gardening, spending time with her husband, and running their off-road vehicle accessory business. Now, Angie has 4 rescue pets: 3 cats and Australian Shepherd mix named Ranger. 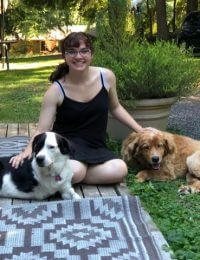 Dee joined the DVH family in July 2018 with over 3 years of experience in the veterinary field, working with small animals. She likes to spend her free time with her dogs (Shawn and Josie) and horses (Frosty and Aeri). Some of her favorite hobbies are hiking, camping, and horseback riding. Kent has lived in the Snoqualmie Valley for nearly 25 years. He was previously a teacher with the Riverview School District, from 1993 to 2015. Kent retired from teaching at Tolt Middle School, and went on to attend PIMA Medical Institute. He became a Licensed Veterinary Technician in 2017. Kent and his wife Kelly have raised two children, Chase and Anna, in the Valley. 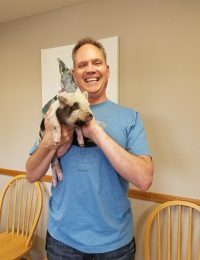 The Christensen’s share their hobby farm in Duvall with horses, goats, sheep, dogs, cats, chickens, and 2 miniature pigs. When not helping animals, Kent enjoys hiking, backpacking, fishing, and riding his Harley. 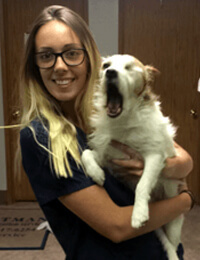 Jennifer joins DVH with over 5 years in the veterinary industry. 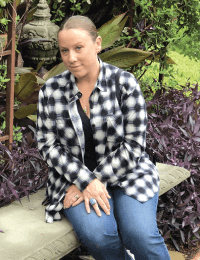 She has experience working with horses, cats, dogs, and non-human primates, and has a passion for animal wellness. 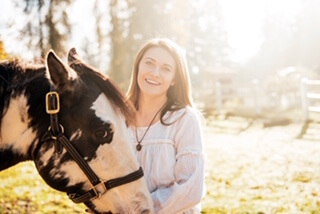 When she is not at the clinic caring for patients, Jennifer enjoys spending time with her husband Aaron and their fur family of 2 horses (BlakJaxx and Maxx), 2 dogs (Lexus and Oakley) and 2 cats (Maestro and Xenia). Her hobbies include horseback riding, reading, and all things related to crafting. 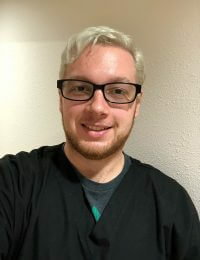 James grew up in Everett, Washington, and joined DVH in 2018. He comes to the hospital with a strong background in customer service, and looks forward to learning the field of veterinary medicine. His favorite things are drawing, playing video games, and spending time with his family, as well as his five dogs and two cats. Shannon was born and raised in Washington, and as a young adult began traveling to explore the US. Throughout her travels she held various positions including managing a herd of 200 horses at Midwest ranch, Animal Control Officer for the Humane Society, and an Enforcement Officer for The U.S. Department of Fish & Wildlife while in Alaska. Prior to joining the team at DVH, she spent the last 10 years at an international manufacturing company. It was her deep love for the human animal bond that made her seek out employment in the veterinary field. You will always find Shannon with a smile on her face at the front desk. She brings a myriad of skills to our client care team and is eager to learn as much about veterinary medicine as possible. In her free time she likes to spend time outdoors biking, playing tennis and rollerblading with her husband and teenage daughter. 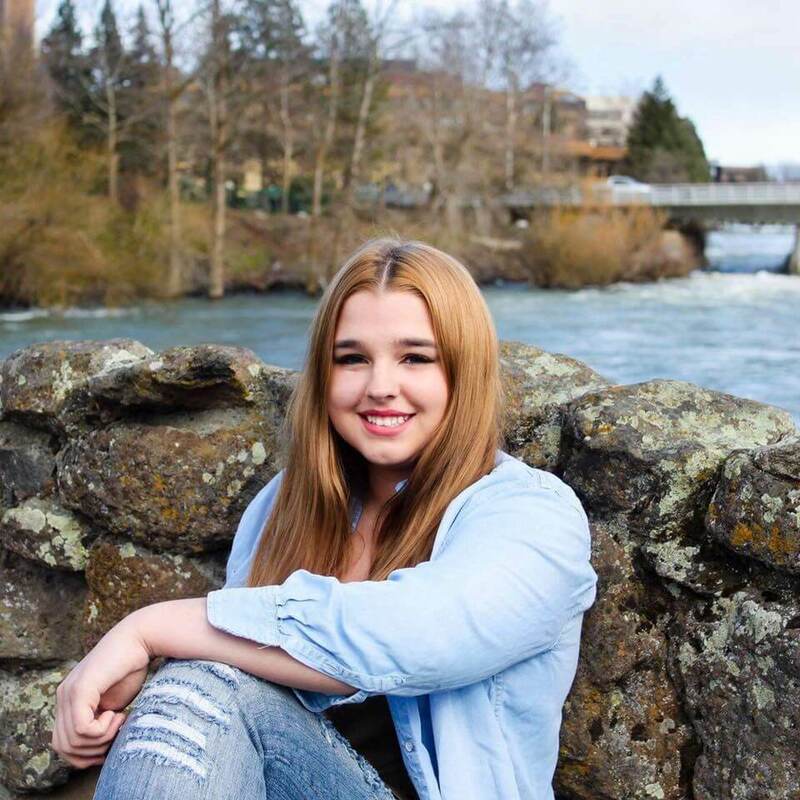 Katelynn grew up in Washington and loves the outdoors. 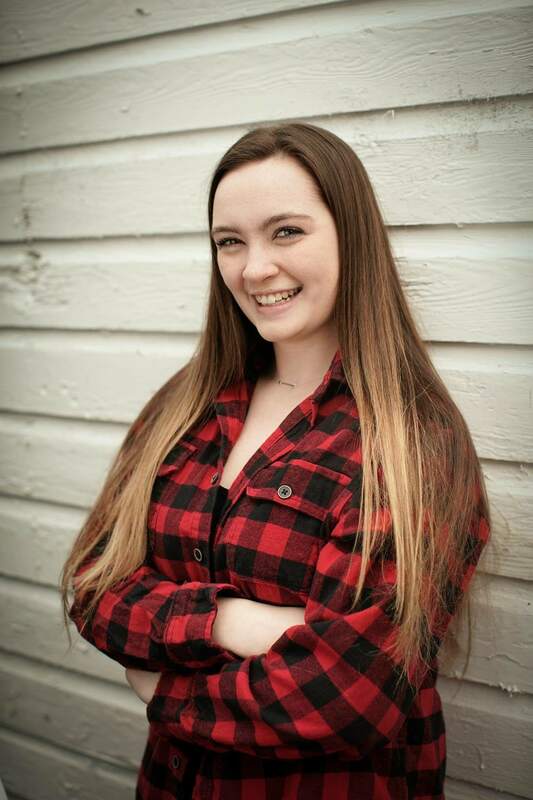 She is a senior at Cedarcrest High School, and plans to attend Montana State University in August to study photography and graphic design. Her dog, Chief, is like a brother to her, and she loves pets of all kinds — including her chickens! Nikole was born in Ukraine, and came to live in Duvall when she was 15. She really loves all animals, especially dogs, and enjoys doting on the patients during her work shifts. Nikole takes care of her cat, dog, and 6 chickens at home. When DVH attends public events, Nikole can be found outfitting every passing dog with the perfect bandana! Anna was born and raised in Duvall. She is currently a senior at Cedarcrest High School. She is planning on attending The University of Idaho in the fall to study sports medicine. Anna lives on a small farm with her two awesome parents and brother. She has been involved in showing livestock for most of her life and has been very involved in the FFA and 4-H programs. Anna has a passion for helping both people and animals. Canada is a huge hockey fan and has played since the age of six; Her favorite team is the Pittsburgh Penguins. When she isn’t working, she is playing with her four dogs: Ivy, a Bichon Frise, Daisy, a miniature poodle, Sidney, a husky-malamute, and Nala, a pit bull mix. Canada also enjoys traveling and has visited Mexico, Italy, and many parts of Canada. She was born in Tacoma, but grew up in different parts of Washington and Huntington Beach, California.